I love this truck and their food. This was definitely my favorite truck in the area. I wish they would come back to Fishers Lane/Rockville. 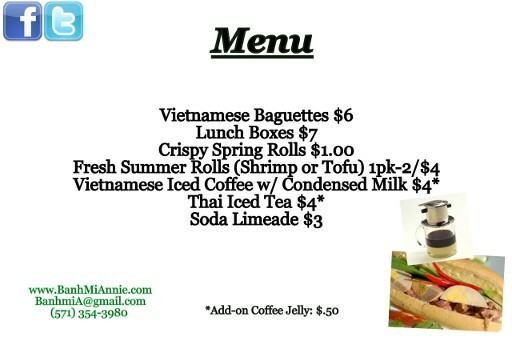 Had the Grilled Lemongrass Pork sandwich, spring rolls, summer rolls, and shrimp ball -- ALL were wonderful -- will be tracking website for return to Fishers Lane! 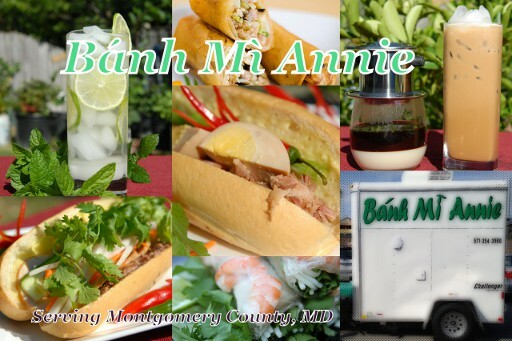 Banh Mi Annie is a food cart selling Vietnamese Sandwiches in Montgomery County, MD. It opened on Sept 14, 2012.